Because of the value of these offers there are only a handful of both left! Contact us now to claim yours! Do you know how many people visit your website, where they come from, how long they stay on your pages and if contact/buy from you as a result? A beautiful looking website doesn’t necessarily attract the right people…and a website that the right people will love is no good if they can’t find it! Two of our most asked for and important services are website analyses and consultancy, so this season we’re giving you the chance to have yours. Contact us now to claim yours! Only 3 offers left! Sorry, all gone! Look out for new offers soon! The reputation you and your business have online can mean a lot in attracting people to your business, so this month we’re offering six, five, four, three*, two businesses a highly discounted online reputation analysis. *Four offers already claimed – only 2 left! Usually £650+, and only £97 during this offer period, we’ll feed back to you an assessment of your NetRep, and what steps to take over the next year. Contact us now to claim your offer – first come, first served! 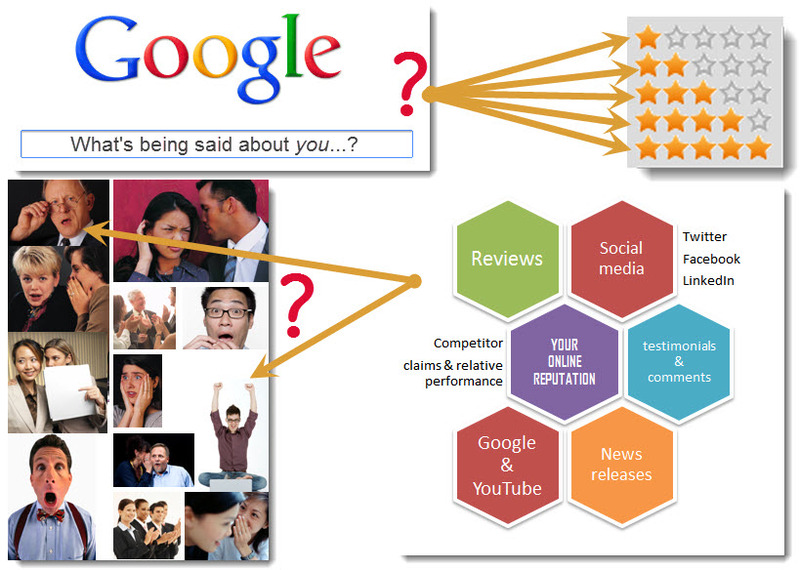 What are people saying about you and your business online, and how does it affect you?